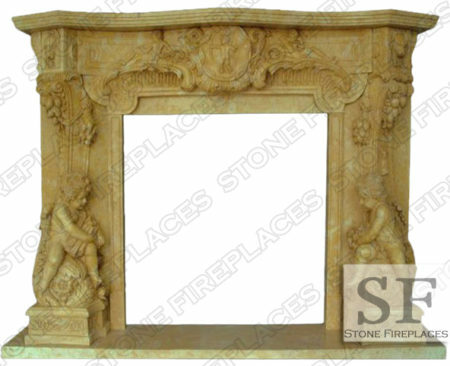 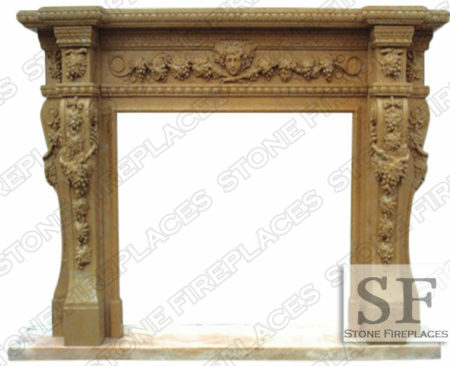 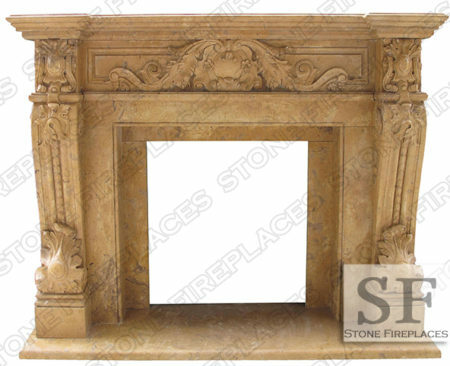 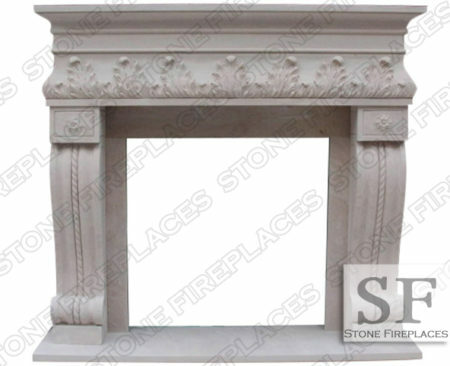 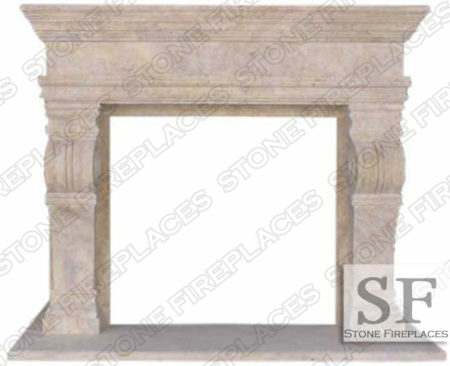 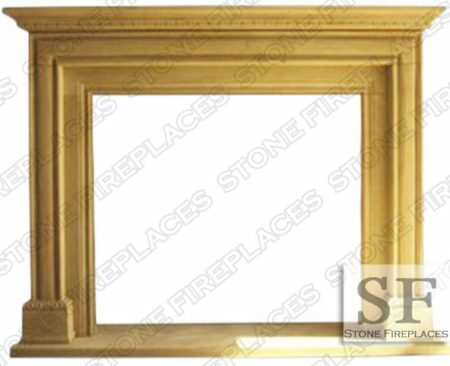 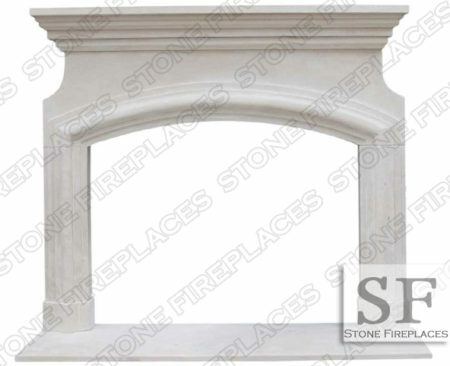 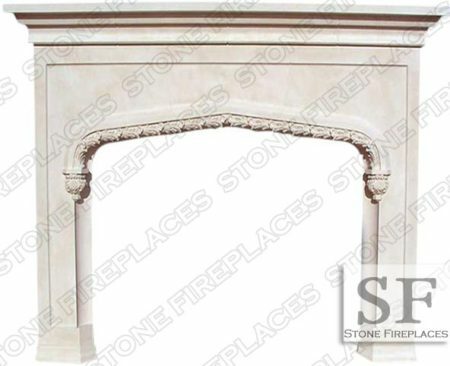 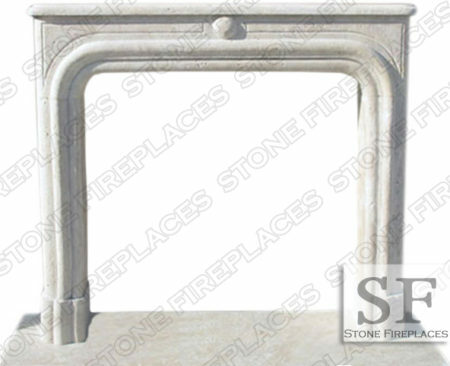 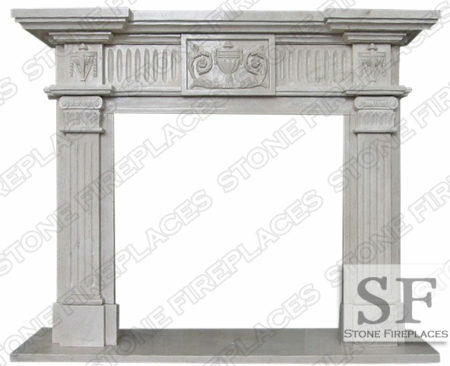 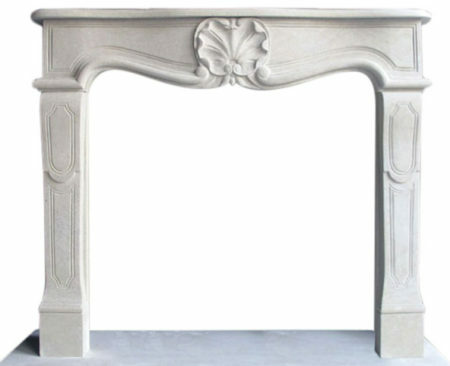 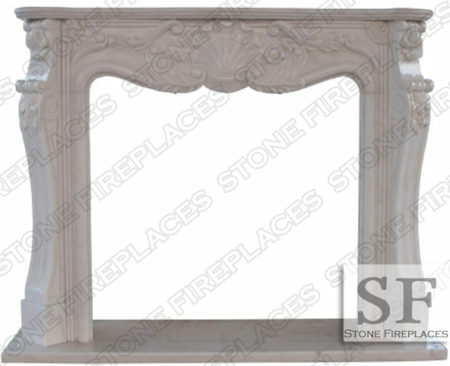 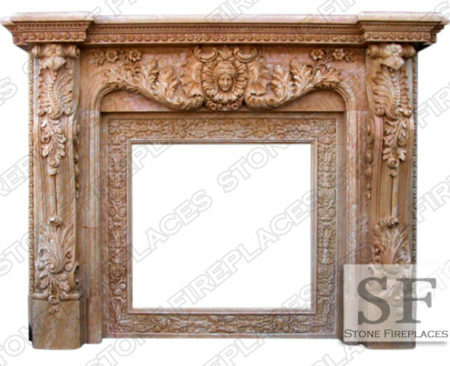 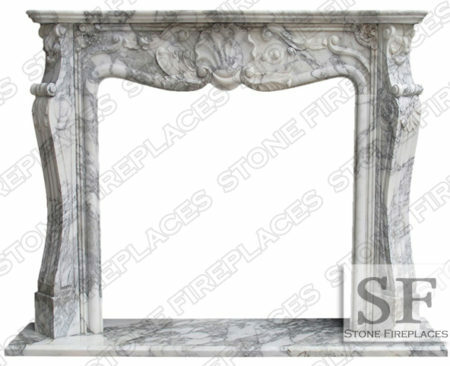 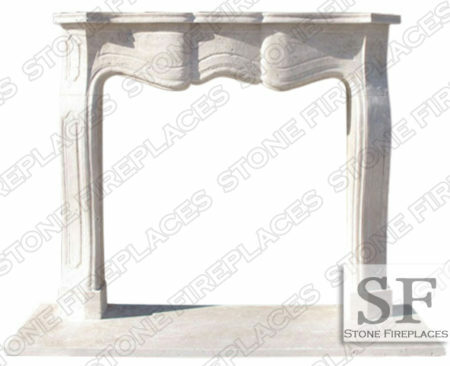 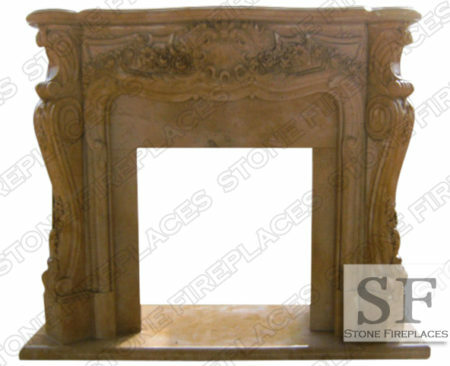 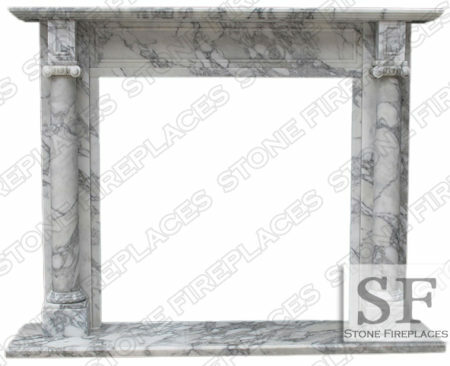 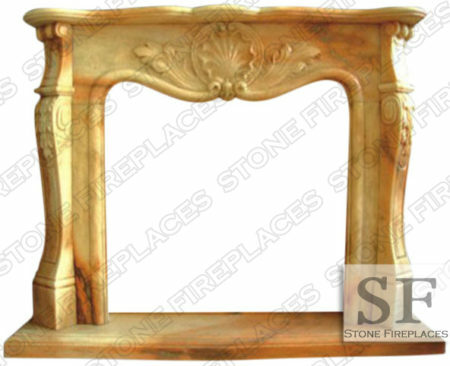 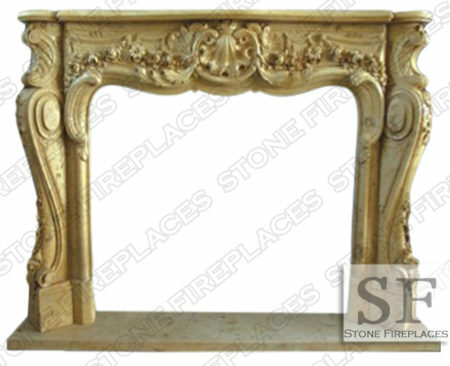 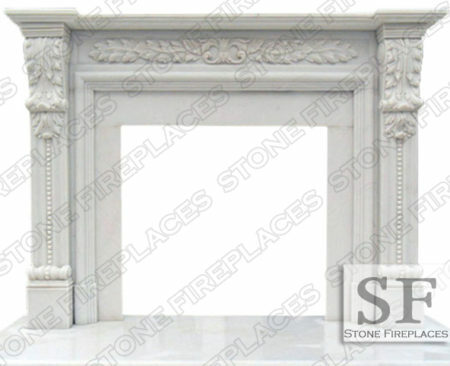 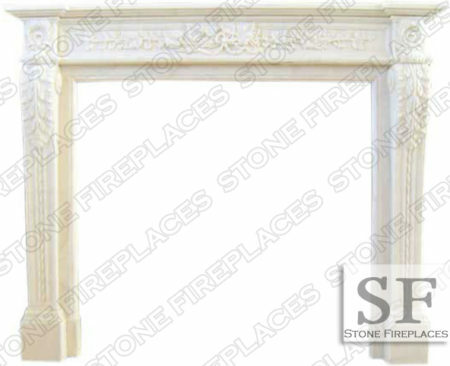 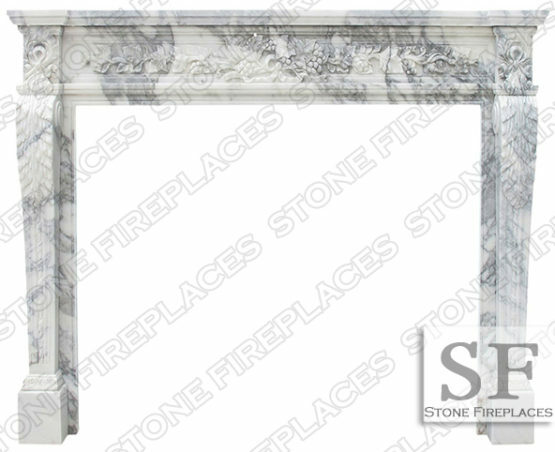 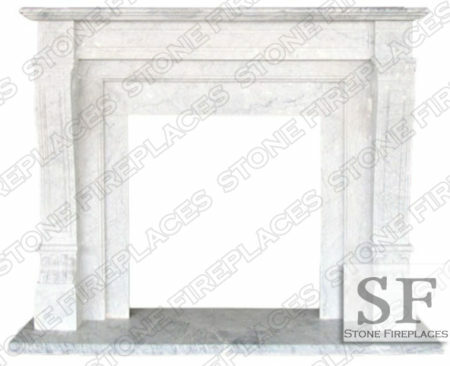 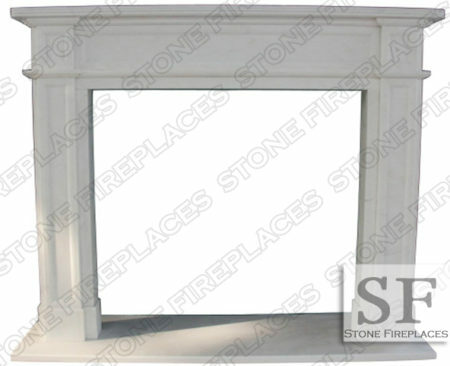 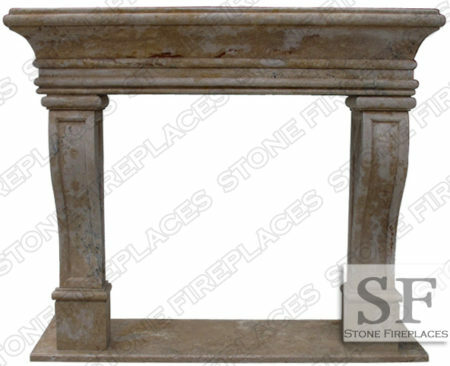 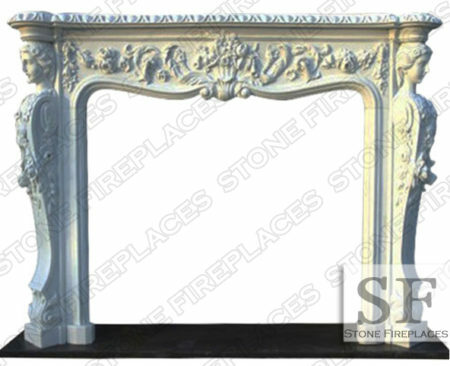 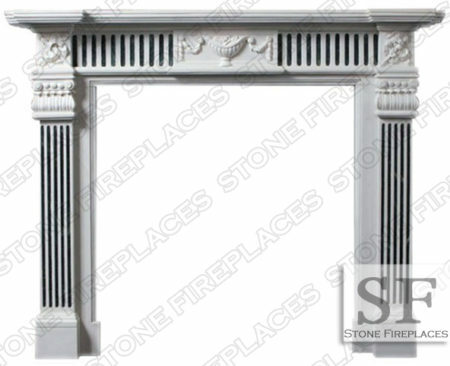 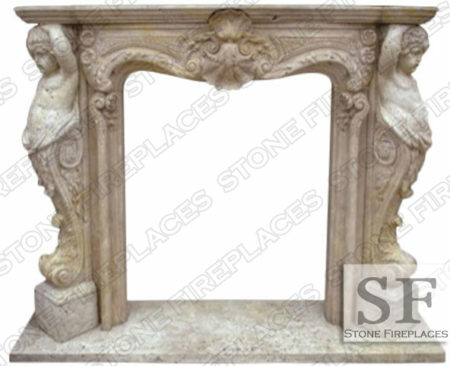 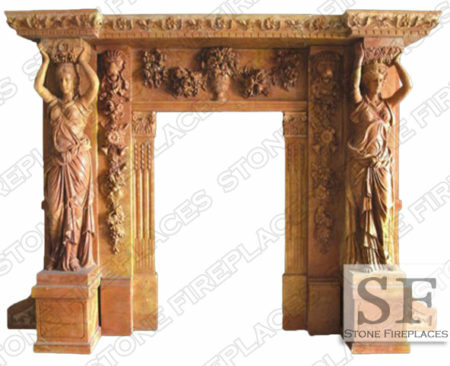 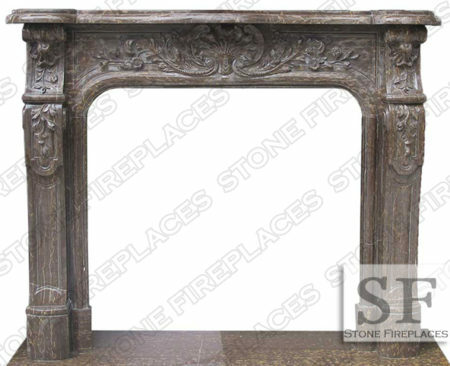 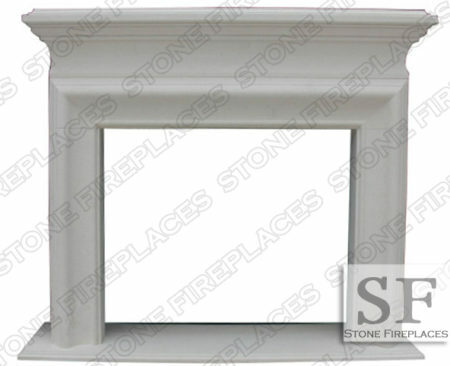 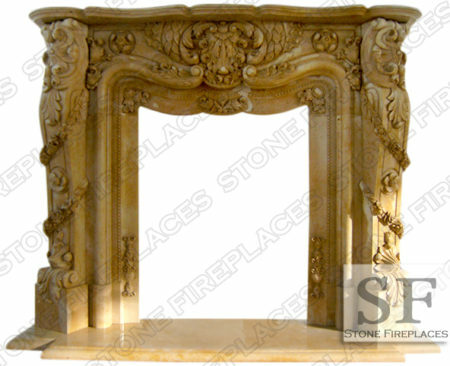 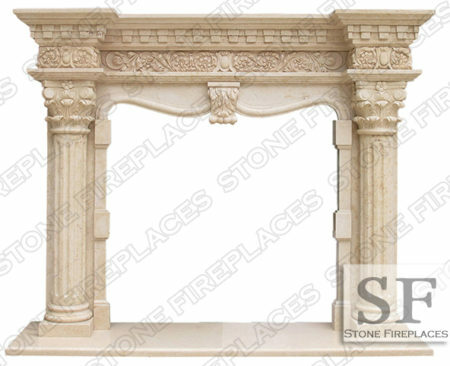 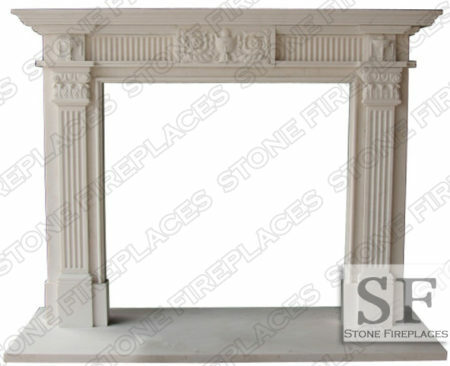 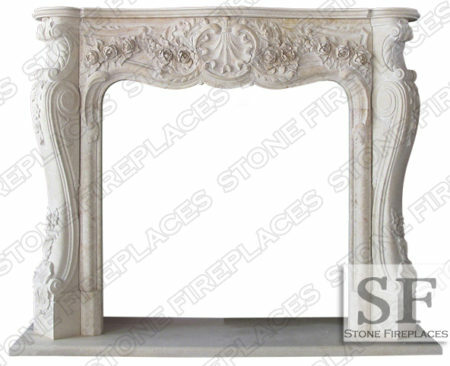 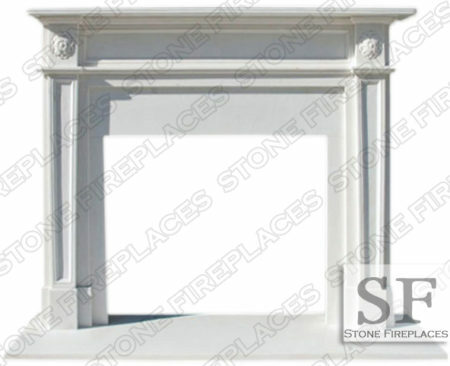 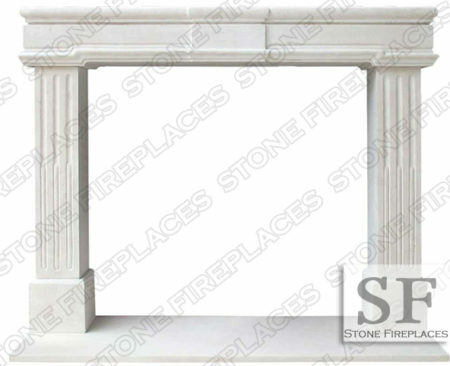 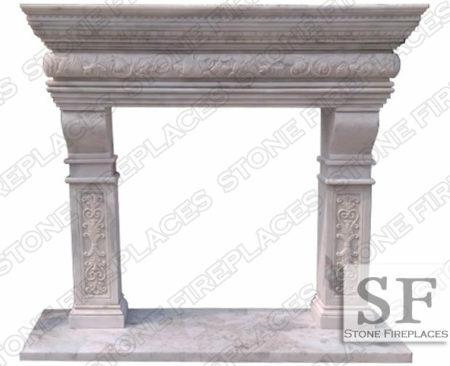 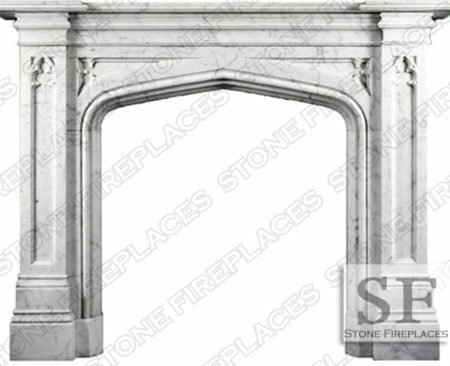 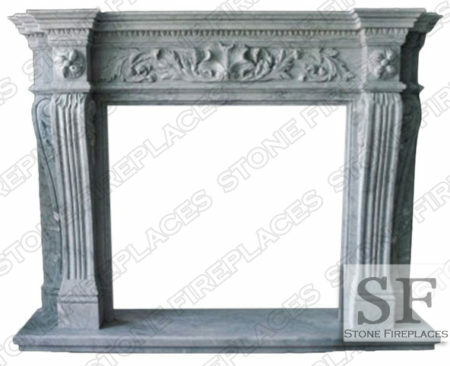 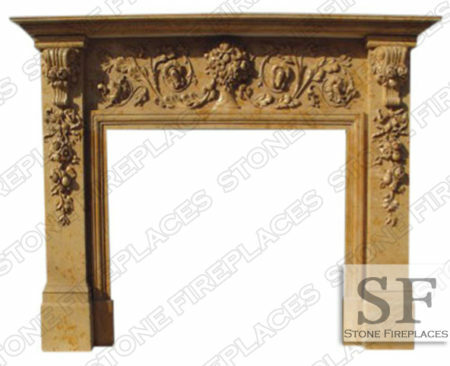 This fireplace mantel will elevate the potential beauty of your home. 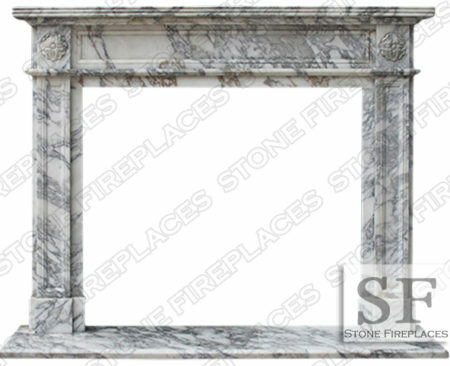 Beautiful white marble with black veining from Italy carved by hand in the classic Italian era style. 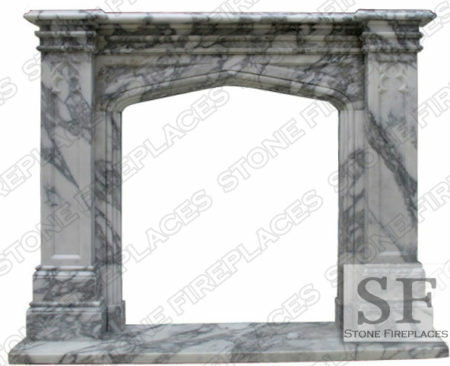 Inner surrounds come up to the firebox both on the inside and outside. 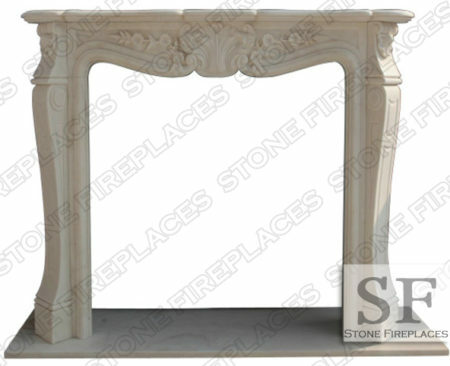 Comes with a hearth in the same style. 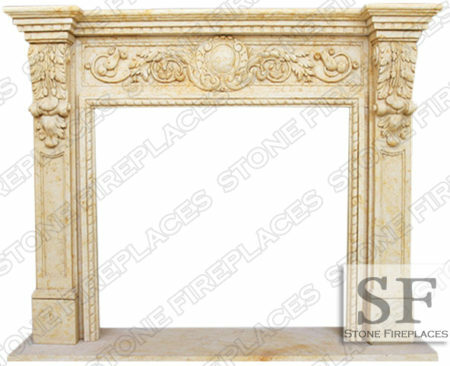 Italian Arabesco is a very luxurious and premium marble that looks far better than Carrara. 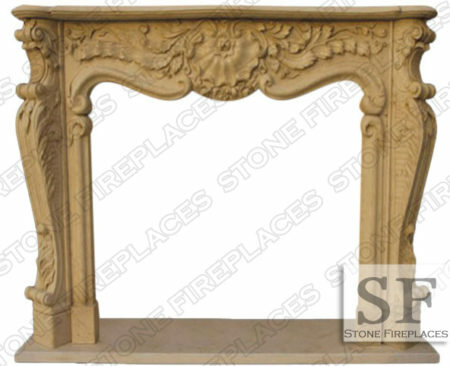 The beautiful hand carved detail in the header and corbel leaf legs are stunning. 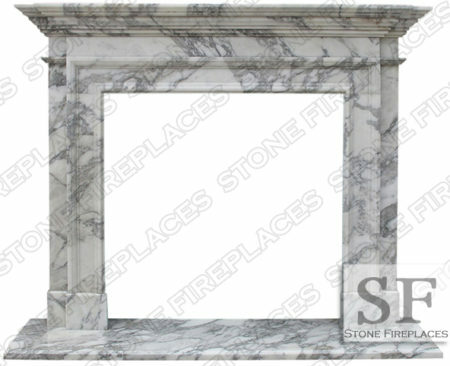 Pictured here in Italian Arabesco Marble that looks similar to Carrara. 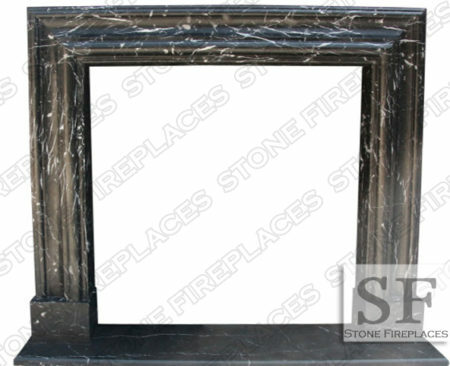 Carrara also has black veining running through the material. 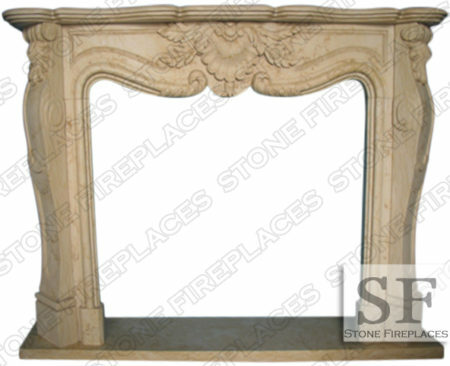 Typical Size: 68″W x 49″H *can be adjusted.